Here, we will understand why the Earth is called blue planet and why it looks blue from space. Our solar system has eight planets and Earth is one of the planets among these. All these planets revolve around the Sun in their own orbits. Each planet looks different when you see the satellite views of it. The planets not only are different from each in terms of composition & size but it looks different from each other in terms of colors as well. For example- Mars looks red, Moon looks ashy grey, Saturn has a yellow appearance, Sun appears brilliant white and our Earth looks like a blue marble. The mother Earth is called a blue planet due to its blue color appearance from the outer surface but that’s not it, we will understand in detail Why Earth is called Blue Planet? 1 Why is the Earth called Blue Planet? 1.1 Why Earth looks blue from space? 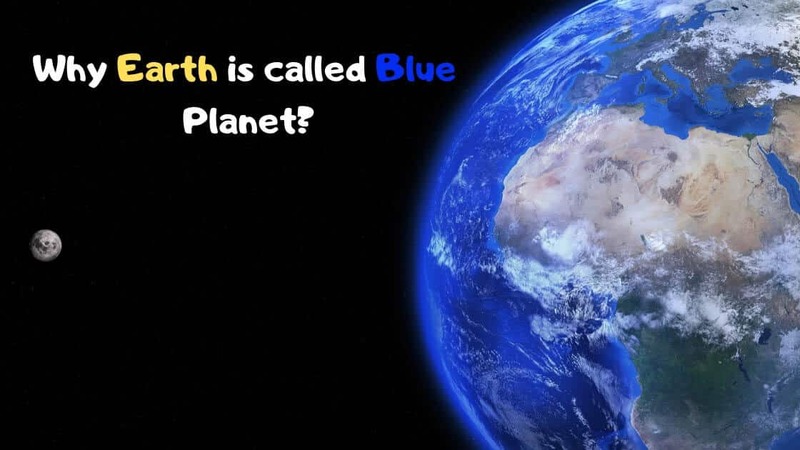 Why is the Earth called Blue Planet? Most of us are curious to know why the Earth is called a blue planet. 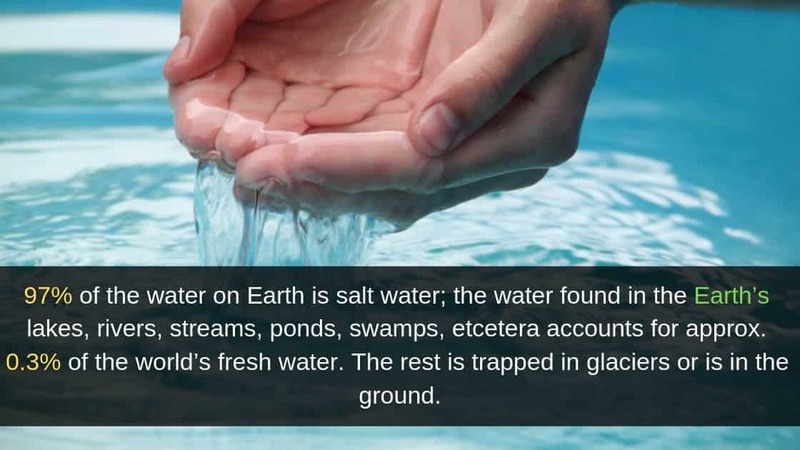 A general statement about the blue appearance of Earth from outer surface is that “The Earth has almost 70% water on its surface due to which it looks blue in color”. Well, if you look at the images of Earth, most of its part looks blue which are the oceans present on Earth’s surface, whereas some other part looks brown or green which is actually the continents and the poles of Earth looks like white caps due to ice. However, the blue color of the planet may vary depending on the depth of the oceans. For example- If you take a look at the close picture of Earth’s surface, it looks like light blue color at the area around the continents, whereas the deep areas of oceans look deep blue in color. Do you know that the ocean looks blue due to the reflection of the sky because the sky is blue in color? The sky appears blue in color because our atmosphere disperses blue light (which is of shorter-wavelength) quite efficiently as compared to red or orange light (which is of longer-wavelength). This is why the sky appears blue in the day time because blue light with shorter wavelength gets scattered in all directions. The oceans also look blue in color during day time due to the same reason. The ocean contains water in huge amount and the water molecules present in the ocean also absorb a certain wavelength of light. Water molecules also find easy to absorb blue light as it has shorter wavelengths, hence the ocean appears blue in color. In fact, if you click a picture inside water, it will appear completely bluish in color. For this reason, the oceans and seas appear blue in color, hence the Earth is called a blue planet because almost 3/4th of Earth’s surface is covered with oceans & seas. Why Earth looks blue from space? Well, a common factor we already discussed above is that the Earth looks blue from outer space due to oceans. This is not the only factor that affects the color of the Earth’s surface but there are some other factors also that make the Earth appear like a blue dot. From outer space, the Earth looks like a blue ball. These are the factors that play an important role in the blue color of Earth. The Earth has extremely hot red heat under its crust and the top outer surface is covered with water. The Earth’s surface has many oceans and seas starting from the Arctic Ocean to the Southern Ocean. These oceans & seas cover almost 70% of Earth’s surface and the remaining 30% is covered with land. It means that almost 70% of Earth’s surface appears blue from outer space & the leftover 30% looks greenish-brownish. This is the reason why Earth looks blue from outer space. As of now, we had known that the Earth appears blue from outer space but now we will discuss why water is blue in color. Water has the property of absorbing most of the colors of the light spectrum present in the Earth’s atmosphere. The oceanic water on Earth’s surface radiates blue in the spectrum that gives it the blue color. If the oceans have been radiating any other color (for example red) then the Earth’s surface would look alike that color like red. This is why the continents do not look blue for the same reason, it looks brown or green. The composition of Earth’s atmosphere mainly contains two gases- nitrogen & oxygen. The molecules of these two gases present in the atmosphere absorb, disperse and radiate various lights. The lights with longer wavelengths such as red, yellow, orange etc. do not get affected much by the atmospheric gases & does not get absorbed as well. On the other hand, the blue light (with a shorter wavelength) gets absorbed and scattered by the atmospheric gases which create the blue sky we see daily. This blue light cannot be seen from outer space but plays an important role in the blue appearance of the Earth’s surface. Similarly, during the night the atmospheric gases could not connect with sunlight, hence the sky looks black in color. If you look at the Earth’s surface from outer space it will look blue due to the presence of sunlight. On the other hand, if you are orbiting the Earth, it will appear black in some parts where it is experiencing night. The reason for appearing the Earth black is the absence of sunlight during the night, whereas during the night the stars look much brighter and the lands look dark blue due to artificial sources of lights. In the meantime, share this “earth the blue planet essay” with your kids to make them understand about our mother Earth.